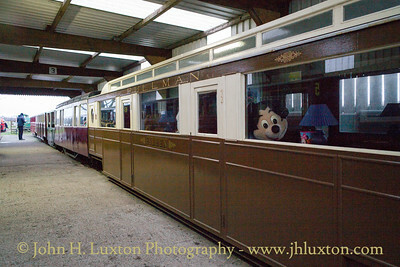 The Windmill Farm Railway opened in 1997, and was the idea of Austin Moss. The line now has a length of 3/4 mile, running from 'Windmill Farm' station to ‘Lakeview’, where a picnic site, play area and lake have been created. 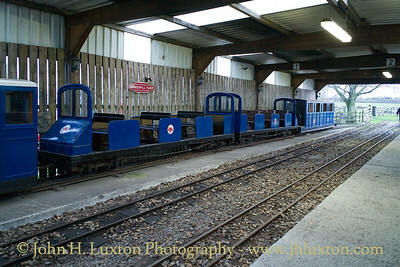 It is very much a working museum of 15” gauge locomotives and rolling stock from locations such as the Lakeside Miniature Railway (Southport), Romney Hythe and Dymchurch Railway, Fairbourne Railway, Dudley Zoo Railway etc. 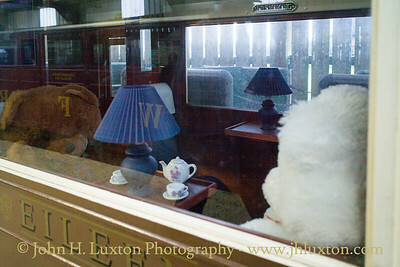 The railway is located at the Windmill Hill Animal Farm near Burscough, Lancashire. 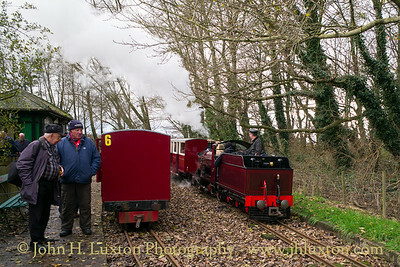 Photographs of the Windmill Farm Railway taken during the Branch Line Society visit on Friday November 17, 2017. 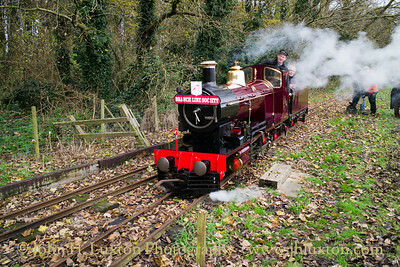 RACHEL was originally built for the Shillingstone Railway before moving to the Fairbourne Railway in Wales. 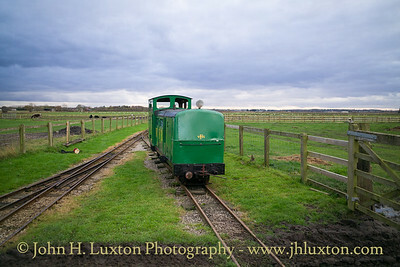 After spending some time at Haigh Hall it moved to Windmill Farm Railway. 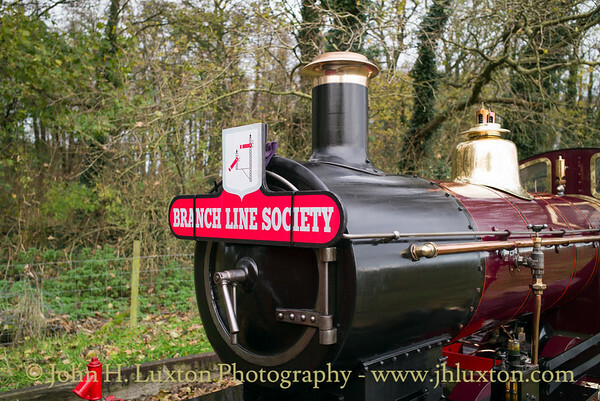 Photographs of the Windmill Farm Railway taken during the Branch Line Society visit on Friday November 17, 2017. 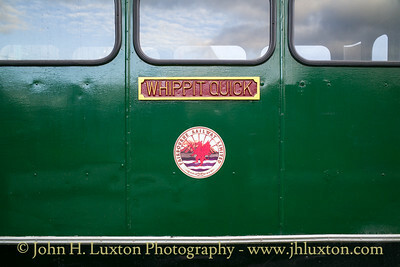 Diesel locomotive WHIPPIT QUICK built for the Fairbourne Railway in Wales. 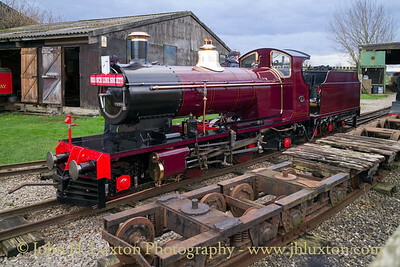 It was the first internal combustion locomotive to operate on the railway. 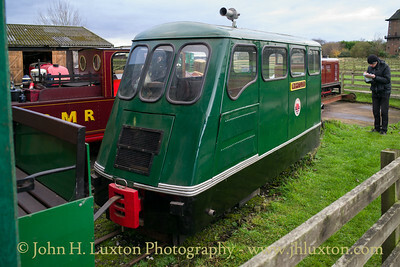 Originally a standard Lister Railtruck it was rebuilt in the 1950s with an extended frame and additional 4-wheeled bogie. A futuristic passenger carrying body was also fitted. 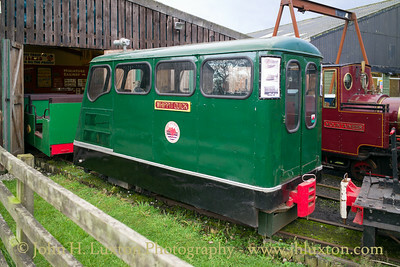 It was sold by Fairbourne in 1975 and spent some time at Gloddfa Ganol in Blaenau Ffestiniog. 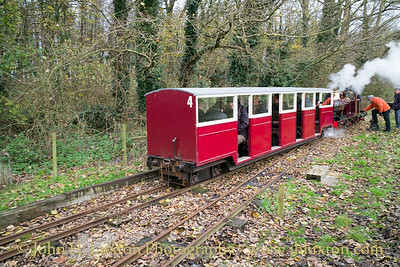 It was used during the Branch Line Society visit to the Windmill Farm Railway to take participants over the depot tracks. 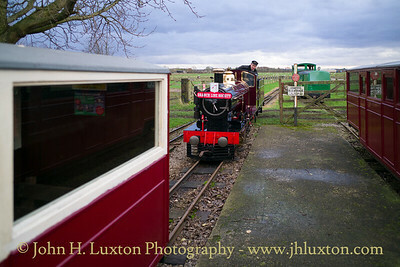 Photographs of the Windmill Farm Railway taken during the Branch Line Society visit on Friday November 17, 2017. 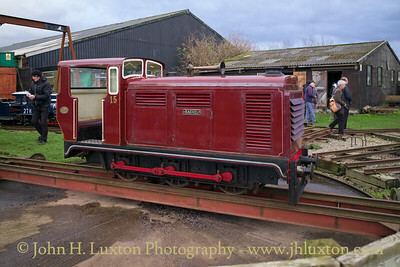 Former Dudley Zoo diesel hydraulic locomotive SAINT THOMAS. 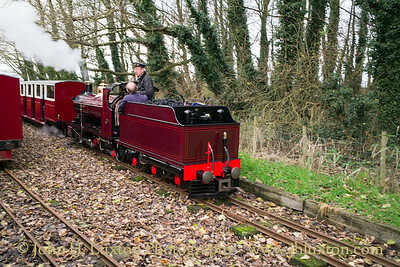 Photographs of the Windmill Farm Railway taken during the Branch Line Society visit on Friday November 17, 2017. 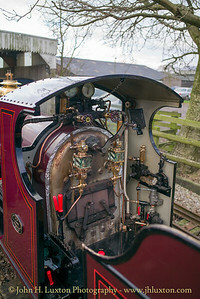 Cab of SIAN. 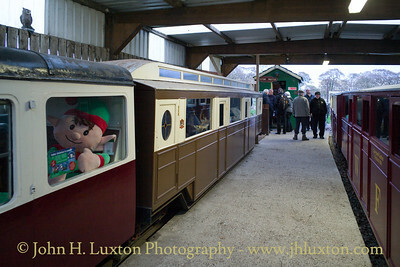 Photographs of the Windmill Farm Railway taken during the Branch Line Society visit on Friday November 17, 2017. SIAN at Lake View Station. 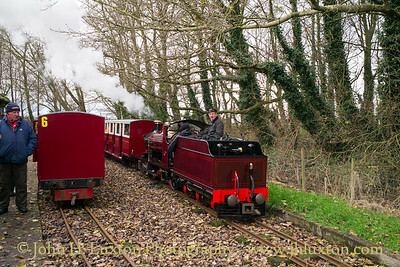 She was shuttling BLS visitors from the platform line along the run-round loop. 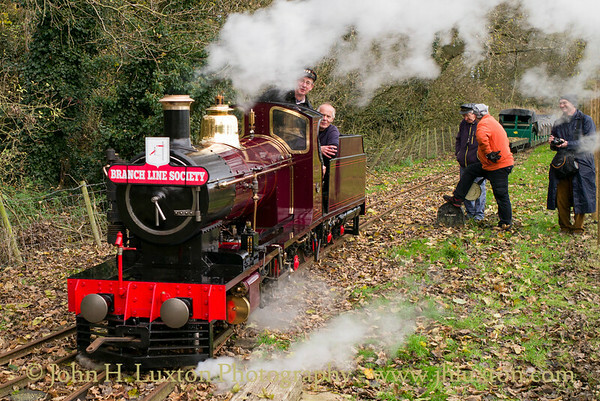 Photographs of the Windmill Farm Railway taken during the Branch Line Society visit on Friday November 17, 2017. SIAN carrying the BLS head board. Photographs of the Windmill Farm Railway taken during the Branch Line Society visit on Friday November 17, 2017. SIAN at Lakeview Station. Photographs of the Windmill Farm Railway taken during the Branch Line Society visit on Friday November 17, 2017. 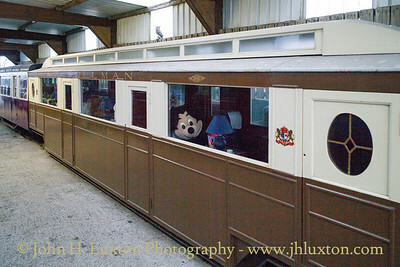 Pullman Car EILEEN which was built by the Windmill Farm Railway. 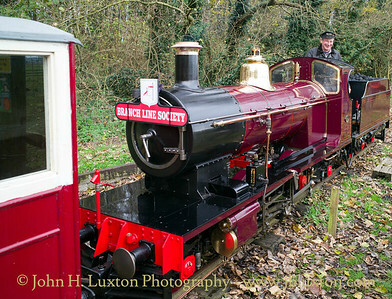 Photographs of the Windmill Farm Railway taken during the Branch Line Society visit on Friday November 17, 2017. 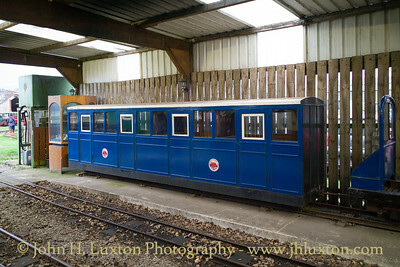 Ex Fairborne Railway rolling stock.